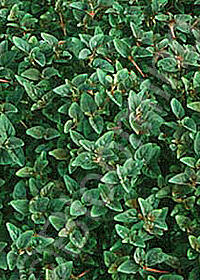 This groundcover forms a carpet of small dark green leaves with bold red veining on a semi-evergreen plant. Golden flowers appear late spring. A Darrell Probst introduction.